…that Nick Cave being good again is a pleasant surprise. Since the wife is away visiting relatives in her beloved Iceland, I had a solitary dinner consisting of a fairly good entrecote on the bone. Grilled on my Weber Summit and served with deep-fried potato wedges Heston Blumenthal style (more about that some other time) and a glass of 2010 Chateau Le Calvaire. 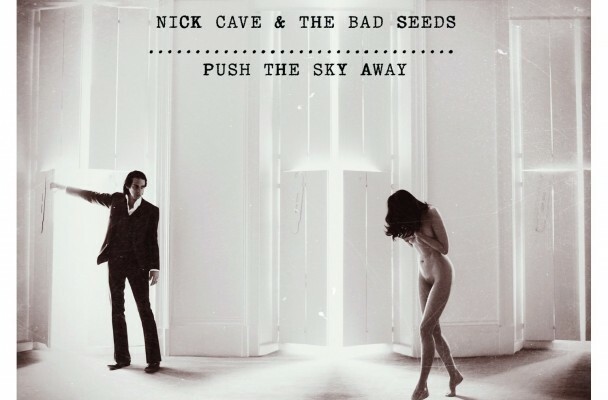 The music playing during the meal was the new album by Nick Cave & the Bad Seeds, “Push the sky away”. I´ve been a fan of his work since the 80´s, going through the changes from Boys Next Door to The Birthday Party and finally the long solo career encompassing some 15 albums or so. Many of these are absolute classics and the Bad Seeds still are a group of outstanding class, style and musicality. That said, there has been a slow decline in quality for a number of years. Despite some good songs on every album, I would say that the last entirely flawless Nick Cave offering was “The Boatman´s Call”, released in 1997. It´s easy to understand the difficulties in keeping up this level of creativity over time, something very few artists manage to do. Going off in a new direction can sometimes revitalize an artists career, but personally I found Grinderman tiresome and unoriginal. I´ve seen Nick Cave live twice, both times without the Bad Seeds but with the Dirty Three. Both concerts were in Reykjavik but in different venues. The first time was truly magical. A fairly small venue, Nick at the piano, accompanied by a Warren Ellis completely on fire. Intense versions of songs from the whole career, including a scorching “Deep in the Woods” as an encore. I remember climbing the stairs to leave when the music started again and stopping to listen while looking down on the stage from above. The second concert was in some uninspiring large hall, sort of tired sounding and never started to glow. It´s funny how these things turn out. I must confess that I didn´t have very high expectations when I brought home “Push the sky away”. Reviews were good, but then again they usually are. Upon listening, however, it quickly became obvious that this was a very different animal indeed. Gone were the irritating faux-Birthday Party wig outs that has marred his later career. Example below. Instead we get melodically intricate and extremely well-crafted songs, a little like the above mentioned “The Boatman´s Call” but with a more modern edge. Very understated and with a minimalist feel, still containing moments of soulful beauty. The absence of Mick Harvey is less obvious than I thought it would be, and the playing of the Bad Seeds is precise and sublime. Referring to Wikipedia in the lyrics and naming a song “Higgs Boson Blues” will score points for modernity, and is at least an interesting curiosity. Our Cave does have an inquisitive mind, how rare in contemporary artists. The fact that this album is a rare joy from start to finish doesn´t prevent it from having it´s low points. I find it very understandable to wonder what he was thinking when he wrote the first lines of “Mermaids. Ouch, not very subtle is it? The lack of elegance in the words is narrowly compensated by the unearthly grace of the music of the chorus. Well written and well played by the Bad Seeds. Beauty marred by imperfection, what could be greater? A few words about the cover. In a time where nakedness is almost always considered pornographic, this picture is interesting in several ways. The fact that the cover depicts a fully clothed Nick Cave along with his naked wife can give rise to a plethora of interpretations. But maybe it´s more simple than that. Beauty is universal, and for a heterosexual man nothing is more so than the female form. Another reflection is that of the older man and his sexuality. Even though his sexual prowess might diminish, his appetite won´t. I´ve recently turned 50, tell me about it. This entry was posted in Food & drinks, Music and tagged Nick Cave: The Boys Next Door: The Birthday Party: Push The Sky Away: Mick Harvey on August 3, 2013 by danolofohman.